Parents and teachers of gifted students: if you are reading this post, you are probably looking for help. Whether you teach in a classroom or at home, you have hoped to inspire your student(s), to foster a love of learning, and to help develop skills needed for future success. The problem? Your gifted student is producing disappointing work. Crappy work. Or at least, right now, mediocre work. If you are new to gifted education, or if you thought “gifted” meant “kids who always make ‘A’ honor roll,” you may be confused. (Hint: that’s not what gifted means.) You’ve tried various strategies: introducing topics you find interesting yourself, providing challenging work if she earns it (by finishing her regular assignments with good grades first), focusing mainly on improving her areas of weakness, and giving her same-level activity menus, the same as the other students. After all, you want to be fair. Your campus offers extracurricular contests and awards. Surely some of that should be inspiring her, right? What’s wrong with this kid? Unfortunately, these approaches won’t benefit the gifted students who need help the most, and in some cases, are almost guaranteed to make things worse. What should you consider trying, then, as you teach this puzzle of a student? For gifted underachievers, remember to examine evidence of their ability needs separately from their current achievement. Though it seems counterintuitive, an underachieving gifted learner may actually need higher-level work in one or more areas of strength. This can be especially true for students in certain special populations, including twice-exceptional students (gifted with one or more disability) or the exceptionally to profoundly gifted. Just as it isn’t unfair to the class when one student needs disability accommodations, it isn’t unfair when we make necessary curriculum modifications to meet gifted instructional needs. Gifted abilities involve different learning needs, and a student’s level of instruction should be based on need, not earned. How, then, do you determine instructional needs for underachieving gifted students? You can collect data from different sources, such as past and current school performance, the student’s parents, ability assessments, above-level achievement assessments, campus gifted specialists, pre-assessments, credit-by-exam testing, and documentation of any disabilities. Consult with a gifted specialist and/or familiarize yourself with gifted curriculum recommendations to help determine when to consider using depth and complexity, a type of acceleration, or other modifications to meet needs. For gifted children, the risk of being misdiagnosed with a disability is so significant, the nonprofit SENG (Supporting the Emotional Needs of the Gifted) educates parents and professionals through their Misdiagnosis Initiative. One such scenario: unmet gifted needs can be misinterpreted as attention issues. (Can any of us sit attentively through a year of content we already know?) Asynchronous development, or uneven development across different areas, is listed in several sources as common in gifted children. Unfortunately, gifted students can also be at risk of missed diagnosis: their abilities can compensate for and mask disabilities, resulting in invisible struggles, work avoidance, and underachievement. For a thorough exploration of both situations, consult Misdiagnosis and Dual Diagnoses of Gifted Children and Adults (2nd edition) by Webb, Amend, Beljan, Webb, Kuzujanakis, Olenchak, and Goerss (2016). For twice-exceptional students (gifted with one or more disabilities), some educators focus primarily on remediating areas of weakness, rather than accelerating and enriching areas of strength – yet experts recommend the opposite. To maintain motivation and self-esteem, “the strongest emphasis has to be on developing the areas of strength” (Castellano & Frazier, 2011). Would you set a broken arm without medical training, or repair a PC without knowing how it works? If you are teaching a gifted-identified child, it is important to know the basics about gifted characteristics, needs, and recommendations. Though some gifted education topics are still debated, best practices have been established based on decades of research. Your district or state gifted organization may offer training, or you can explore resources through organizations such as the National Association for Gifted Children (NAGC), Gifted Homeschoolers Forum (GHF), Hoagies’ Gifted Education Page, Supporting the Emotional Needs of the Gifted (SENG), and the Davidson Institute. If teachers and parents are aware that high intellectual ability comes with specific characteristics and academic needs, that ability needs are not necessarily evident from current achievement, that ability level can vary significantly within the gifted-identified population, and that gifted-identified students require curriculum modifications in order to learn — they will be off to a good start. Effective differentiation requires more than a menu. Are you familiar with content, product, and process differentiation, and do you know when each is helpful and needed? Do you start units with pre-assessments, incorporate depth and complexity, and use student data to assign reading passages targeted to your gifted student’s comprehension level? Are you familiar with the research on the benefits of acceleration, do you know when to consider different acceleration options, and are you willing to consider curriculum compacting, when appropriate? If not, these topics offer exciting and important opportunities for professional growth as an educator. Differentiation strategies that benefit most students – such as menus with on-level activities – are often insufficient for gifted students who need more challenge. Effective differentiation may require adding to your toolbox of instructional strategies, and it may initially require help from instructional specialists or other educators. An important point: children with above-level needs need different work, not more work. (Gifted expert Lisa Van Gemert calls extra work “more-ferentiation,” or “differentiation’s evil imposter.”) If we require students to trudge through inappropriately easy work each day before allowing work that helps them learn and grow, is it a surprise when some of them lose interest and motivation? Needs can vary significantly from student to student, especially for “special populations” in gifted education: twice-exceptional, CLED (culturally, linguistically, or economically diverse), students facing gender obstacles/challenges, students in rural settings, or extreme gifted levels. Gifted students have different ability and achievement levels, strengths, weaknesses, personality characteristics, and obstacles to achievement. Because of these extreme differences, “students must be assessed and planned for on an individual basis” (Shore & Enerson, 2007). When differentiating for gifted learners, teachers and parents may wish to ask: am I targeting the evidence-based needs and interests of this specific student? Or am I only prioritizing goals for the entire class (or my own preferences)? See educator Ian Byrd’s post on narcissistic teaching for questions to help avoid this pitfall. According to many parents and educators, gifted children experience life more intensely. A number of psychologists and educators who work with gifted children observe behaviors associated with overexcitabilities (OEs), or intensities, in this population. Several OEs can cause distraction and distress in situations where other students seem unaffected. Understanding social and emotional gifted characteristics can allow both teachers and parents to improve the learning environment and help students cope. During group work or activities, do your gifted students or children have regular access to other children who understand and share their differences, or do they feel isolated and misunderstood? Time with “intellectual peers” is considered important for both academic growth and social-emotional development. Ability grouping provides this access in classrooms, and local gifted parent support groups can schedule events to foster friendships. 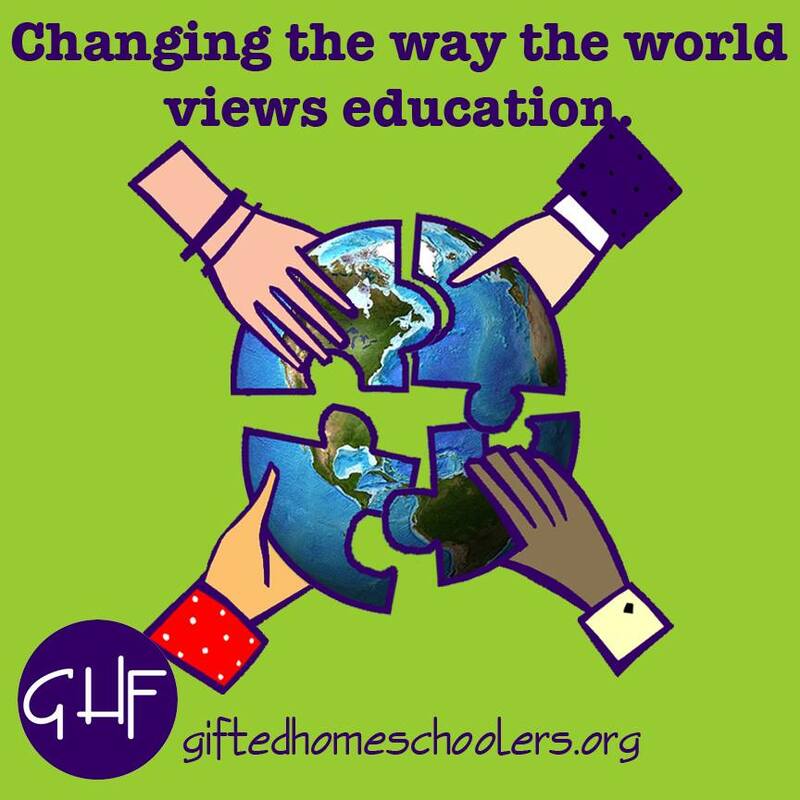 Gifted homeschoolers can connect through local gifted groups or organizations such as the Gifted Homeschoolers Forum. In schools with gifted services, including an affective curriculum can also give students an opportunity to learn coping skills in a safe environment. A note about competitions: while some gifted children enjoy competing, “schools that support a competitive environment” can “promote antilearning cultures” and may have a detrimental effect on gifted children (Cross, 2016). An “emphasis on competitiveness at the individual level can interfere with peer relationships and lead to rejection” of gifted students, but “[i]f competitions are unavoidable, having low stakes and distant competitors (i.e., at other schools)” can reduce stress (Cross, 2016). Socioeconomic status is considered a strong predictor of academic achievement, and gifted students from low-SES households may need additional school support and require special considerations for identification (Matthews & Shaunessy, 2008). Additional awareness and support for culturally diverse gifted students is necessary to prevent underidentification and to help mitigate the potential negative effects of social pressure for some populations (Matthews & Shaunessy, 2008). Does your student seem motivated only by interests or abilities outside of school subjects? If your un-academically-motivated student has a passion outside of school, differentiation based on student interests might increase motivation at her desk. In his book Parenting Gifted Kids, author and educator Jim Delisle describes how he tapped into one underachiever’s entrepreneurial interests to differentiate the student’s lessons, resulting in improved student attitude and performance (Delisle, 2006). Advancing Differentiation by Richard Cash explores several strategies for motivating learners: teachers can survey students and group them based on interests, can allow students to opt out of assigned work by substituting “passion projects” based on individual interests, can encourage students to help design lessons or projects, and can engage them in solving authentic problems and creating resources for other students (Cash, 2011). Parents can search for extracurricular activities to spark motivation and increase self-esteem, especially during and after difficult school years – like a chess camp, robotics class, or hands-on enrichment classes that finally challenge a student and validate her problem-solving abilities. In Ken Robinson’s book The Element, he explores the benefits of finding the “meeting point between natural aptitude and personal passion” (Robinson, 2009). As parents and educators, though we have an obligation to guide students through state-mandated concepts, if we want to encourage long-term success and help students find fulfilling careers, we should consider using strategies that respect both their abilities and their interests. Parents of twice-exceptional children in particular will tell you: while it is important to set high, achievable expectations, excessive pressure on a student can damage both parent-child and parent-teacher relationships. In discussing motivation and underachievement, psychologist James Webb emphasizes that “probably the single most powerful factor in motivation is the personal relationship” (Webb, 2007). Webb advises “building upon the relationship,” connecting with the child, and helping the child to develop confidence and self-esteem (Webb, 2007). As gifted students get older, if they show strengths in multiple areas (multipotentiality), it may help to choose between advanced opportunities to preserve time for their passions and their mental health (Taibbi, 2012). In research on gifted high school dropouts, some researchers cite a negative attitude toward school and teachers as a contributing factor. They found that a perceived “good teacher” is “the most positive element of school,” that fewer students dropped out when their teacher “was flexible, positive, and creative,” and in recommendations for prevention, note that “student and teacher relationships should be improved” (Renzulli & Park, 2002). When a child loses motivation for schoolwork, stress levels rise for everyone involved. Underachievement frustrates teachers and parents, and it can feel like a tailspin to those who see a student’s underlying abilities. Most of all, it can hurt a student’s self-esteem and future opportunities. Causes can include a stressful classroom environment, inadequate work level challenge, a need for disability help, a fear of failure, mood disorders, social stress or pressure, language barriers, economic stress, or home stress (Whitney & Hirsch, 2007). Some causes require special services and an awareness of specific challenges impacting special populations. For gifted motivation in general, Carol Whitney and Gretchen Hirsch recommend considering the “Four C’s”: Challenge (is the work challenging enough? ), Control (how much control does the student have over his/her learning? ), Commitment (does the student feel a sense of belonging and importance, and does she know the value of activities? ), and Compassion (is the child understood and supported by parents and teachers?). In A Love for Learning, Motivation and the Gifted Child, the authors offer tips for educators and homeschoolers: setting high but achievable expectations, basing part of the curriculum on the child’s interests and learning style, focusing on “personal best” rather than competition, rewarding the process as well as the product, providing good feedback, staying flexible, providing hands-on and relevant explorations, continual assessment, and remembering self-care for teachers (applies to parents too! ), to keep their own motivation fresh (Whitney & Hirsh, 2007). Additional recommendations for the school environment include strategies such as “promoting belongingness to the class and school,” building “warm and supportive teacher-student relationships,” articulating the relevance of lessons, and pacing learning appropriately for gifted students (Liem & Chua, 2006). If these approaches sound like trial and error, to some extent, they can be. Once a strategy begins to work, some students can be moving targets: children grow and change, and adjustments may be needed. Don’t give up hope, and don’t blame yourself for a student’s struggles: if underachievement were easy to prevent and fix, there would be no need for articles, chapters, and books on the subject. If parents and educators learn what they can and they keep trying, their investment of time can lead to improvement and positive outcomes for gifted students. (As always, please do not take my word alone – read further! The below list offers a few places to start.) In addition to teaching and nurturing these students, we can help them by continuing to listen to them, by learning from and about them, and by remembering to be flexible throughout their education. Assouline, S. G., Colangelo, N., VanTassel-Baska, J., and Lupkowski-Shoplik, A. (Eds.) (2015). A nation empowered: evidence trumps the excuses holding back America’s brightest students. University of Iowa. Cash, R. (2011). Advancing differentiation: thinking and learning for the 21st century. Minneapolis: Free Spirit Publishing. Castellano, J. A. and Frazier, A. D. (2011). Special populations in gifted education: understanding our most able students from diverse backgrounds. Waco: Prufrock Press. Cross, J. R. (2016). Gifted children and peer relationships. In M. Neihart., S. I. Pfieffer, and T. L. Cross (Eds. ), The social and emotional development of gifted children: what do we know? Waco: Prufrock Press & NAGC. Daniels, S. and Piechowski, M. M. (2009). Living with intensity: understanding the sensitivity, excitability, and the emotional development of gifted children, adolescents, and adults. Scottsdale: Great Potential Press. Fiedler, E.D., Lange, R. D., and Winebrenner, S. (1993). In search of reality: unraveling the myths about tracking, ability grouping, and the gifted. Roeper Review, 16(1), 4-7. Johnson, R. (2017). The lunch bunch: affective curriculum for elementary gifted students. Gifted Education Review, 1(4), 1-3. Liem, G. A. and Chua, C. S. (2016). Motivation in talent development of high-ability students: research trends, practical implications, and future directions. In M. Neihart., S. I. Pfieffer, and T. L. Cross (Eds. ), The social and emotional development of gifted children: what do we know? Waco: Prufrock Press & NAGC. Manning, S. and Besnoy, K. D. (2008). Special populations. In F. A. Karnes and K. R. Stephens (Eds. ), Achieving excellence: Educating the gifted and talented. Upper Saddle River, NJ: Pearson Prentice Hall. Matthews, M. S. and Shaunessy, E. (2008). Culturally, linguistically, and economically diverse gifted students. In F. A. Karnes and K. R. Stephens (Eds. ), Achieving excellence: Educating the gifted and talented. Upper Saddle River, NJ: Pearson Prentice Hall. Renzulli, J. S. and Park, S. (2002). Giftedness and high school dropouts: personal, family, and school-related factors. National Research Center on the Gifted and Talented, University of Connecticut. Robinson, A., Shore, B. M., & Enerson, D L. (2007). Best practices in gifted education: an evidence-based guide. Waco: Prufrock Press & NAGC. Tomlinson, C. A. and Allan, S. D. (2000). Leadership for Differentiating Schools & Classrooms. Association for Supervision and Curriculum Development (ASCD). Whitney, C. S. and Hirsch, G. (2007). A love for learning: motivation and the gifted child. Scottsdale: Great Potential Press. For parent groups in Texas: if your group is interested in bringing after-school, weekend, or camp enrichment experiences to your area, to help gifted students meet one another outside of school, NuMinds Enrichment (founders of this blog) offers a variety of options. Our blog is proud to participate in Gifted Homeschoolers Forum blog hops! For more posts, please visit the September 2017 GHF blog hop about Teaching a Reluctant Gifted Learner: Ways to Reach and Teach the Gifted. This is a wonderful comprehensive article, Emily. There is so much in it, you could really turn it into a course for teachers. I wish it was a class that all teachers in training had to take. I’m so glad you included your comments about competitions. It’s one of my pet peeves. I’ve seen many schools think they’re serving their gifted kids by just holding competitions. Some of them have some value, like Future Problem Solving or Olympics of the Mind but the ones that are based on memorization of facts or spelling are such a waste of time! And the kids still end up spending most of their time in a classroom where their needs are not met. Hi Paula, thank you so much for your kind words! I share your concerns and agree completely. I hope that eventually there will be a shift in thinking (nationwide) about ways to meet gifted needs. Thank you for your wisdom on your own site about these needs! Very in-depth article – thank you for writing the handbook for teachers here, so helpful to both traditional teachers and homeschoolers. Great post! I think you covered everything all in one article! Aww, thanks very much! 🙂 I hope it helps teachers and families. This is fantastic – so thorough! And the recommended resources are an excellent addition. Well done. This is a wonderfully put together reference for figuring out how to help and understand gifted kids who are having problems. Love it!